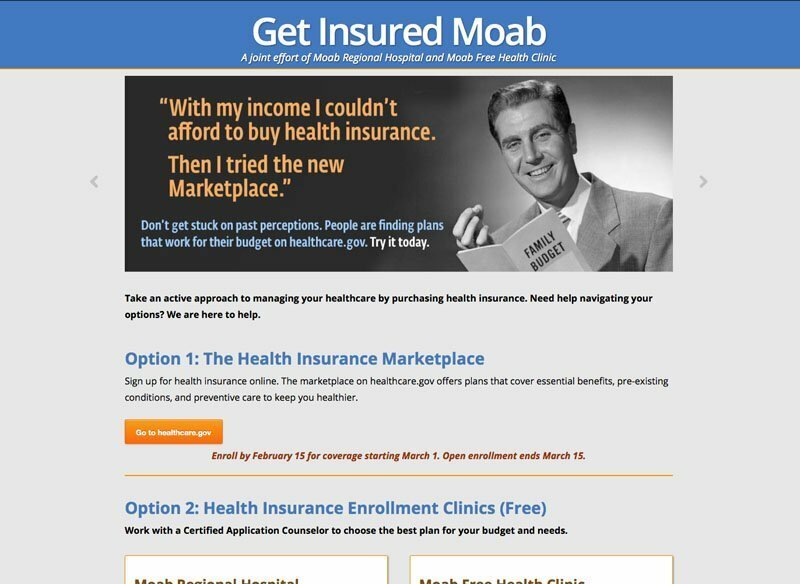 Get Insured Moab is a single page micro-site sponsored by the Moab Free Health Clinic and The Moab Regional Hospital. Build an attractive site compatible with both organizations, that reads quickly, dispels fears, gets the word out about The Affordable Care Act, and directs people to assistance. 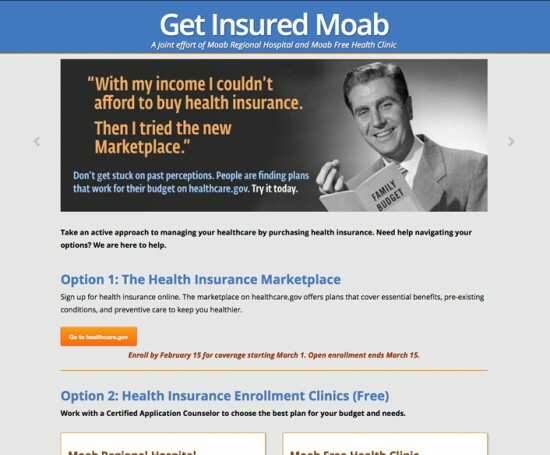 The site was built similarly to the Moab Free Health Clinic site to ease maintenance. It was designed as a single page with no navigation with the content organized in clear options and steps.